It was an inscription his father left on the wall of their home when Dr Samuel Achilefu was only 5 years-old that spurred him to achieve great heights: “When wealth is lost, nothing is lost. But when name is lost, everything is lost“. One can understand how this maxim led to him being the brains behind a device that could help transform tens of thousands of cancer sufferers around the globe, into cancer survivors. 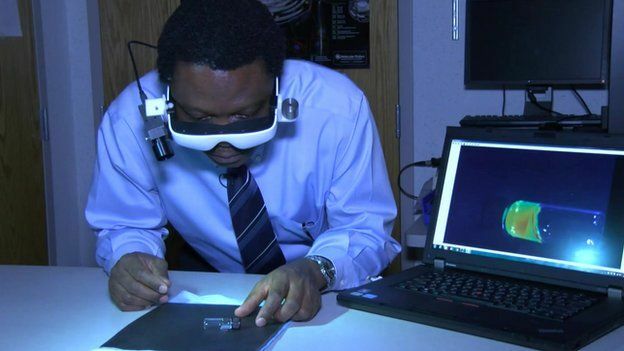 According to Washington University in St. Louis, Achilefu’s ‘cancer goggles’ are designed to make it easier for surgeons to distinguish malignant cells from healthy cells, helping to ensure that no stray tumour cells are left behind during surgery to remove a cancerous tumour. The glasses could reduce the need for additional surgical procedures and the subsequent stress on patients, as well as time and expense. The system uses custom video technology, a head-mounted display and a targeted molecular display that attaches itself to cancer cells, giving them a ‘glow’ when viewed through the eye gear. The award is given to a resident of the St. Louis area whose achievements reflect positively on the community. In January this year stood in front of his peers at the Eric P. Newman Center for Education to receive his accolade. 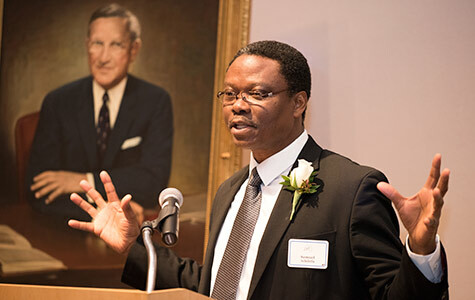 After receiving a PhD in molecular physical and materials chemistry at the University of Nancy, France, where he attended on a French government scholarship, and postdoctoral training in oxygen transport mechanisms, Achilefu moved to St. Louis, US in 1993 to join the nascent Discovery Research Department at Mallinckrodt Medical Inc. Currently, he serves as a Washington University School of Medicine Professor of Medicine.